Today, numerous churches throughout the U.S. are facing issues with the deterioration of their historic stained glass. Historic churches that have been around for some time possess stained glass windows that are close to one hundred years old, which is usually the time they begin to fall apart. But finding a qualified repair stained glass restoration studio in Albuquerque or anywhere else is a difficult task. Stained glass, as an art form, has been around for quite some time. However, since its beginnings, it has changed greatly and many of the old techniques use to create stained glass are no longer used by mass production companies. In fact, very few stained glass studios have the knowledge or experience required to repair delicate historic stained glass windows. Stained glass restoration is a time intensive process, and one that requires a certain level of skill. Church Stained Glass Restoration is a reputable stained glass studio that offers repair and restoration services for churches in Albuquerque, New Mexico. With knowledge acquired from expert stained glass craftsmen in Glasgow, Scotland, we are well-versed in all forms of traditional glass making and are highly competent in our ability to execute repairs of all types. 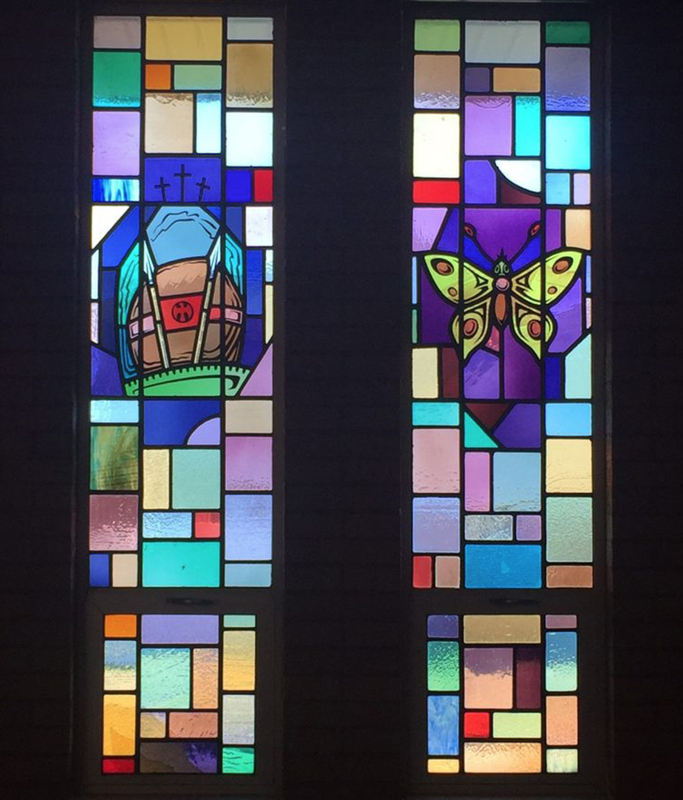 When you make the decision to restore your Albuquerque church’s stained glass, you are making a choice that not only benefits your congregation, but also the surrounding community as a whole. Historic buildings are an important part of a community’s identity and culture. By preserving your stained glass, you are keeping in tact an important part of your city’s history. Furthermore, stained glass windows heighten the experience of those who gather in your church’s rooms and corridors for worship. Gazing up at the beautifully light stained glass during service is a calming experience and one that is spiritually moving. Preserving your stained glass can help keep your church’s culture and identity alive. Whether we are restoring the stained glass in your Albuquerque church, temple, chapel, or cathedral, we will work hard to ensure that you stay informed throughout the entire process. We commence each project with a site visitation. This gives us the chance to personally introduce ourselves as well as evaluate the condition of your stained glass windows. Once we’ve completed the evaluation, we’ll compile a proposal for your church board to review and discuss, which will include the details of your inspection as well as possible options for repair. Once you’ve given us the approval to proceed, we’ll return to your church and begin work right away. To save costs, we’ll try to complete as much as the repairs as we can onsite.  However, doing repairs in this manner does impose some restrictions in regards to what we can accomplish. If it is deemed to be in your best interest, we will remove your stained glass and complete the rest of the repairs at our studio. Here, we can carefully clean and polish the stained glass, as well as replace any seriously damaged materials. After we’ve gone through the tedious process of taking apart your stained glass, replacing the damage pieces, and recreating hand-painted details, we will assemble the whole piece back together and return it to your church, where it belongs. If you wish, we can protect your historic windows and all the work that’s been done to them by installing a piece of low-e safety glass over the top. At this point, all repairs are complete and you can get back to enjoying the beauty of your stained glass! We often work with churches whose stained glass windows have suffered damage due to hail, flooding, and vandalism. Completing these repairs usually involves minor work that can be conducted on site. For small damages, such as cracks, chips, or splinters, we are happy to provide our expert repair services. To get more information on Albuquerque religious stained glass repair, please contact our office. Put your beloved stained glass windows in the hands of a team that cares. 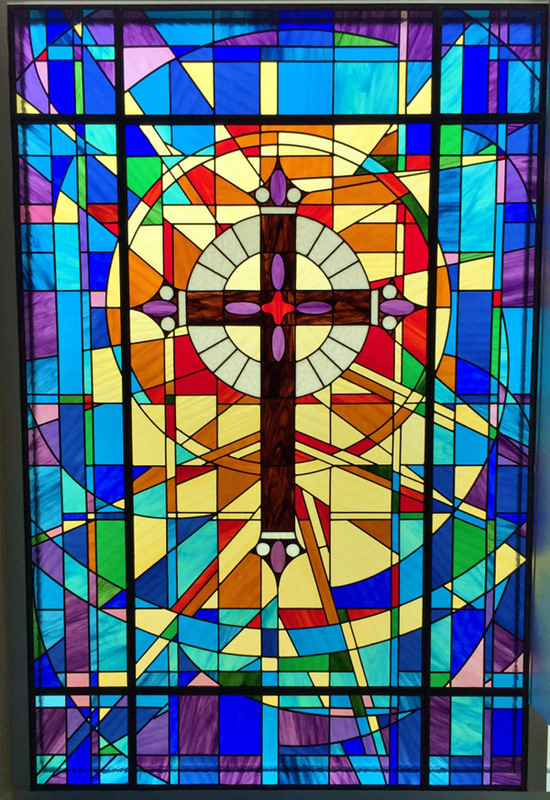 Call our office today to get more information on our church stained glass restoration services in Albuquerque.